Welcome our new Olive Crest – Orange County Region Executive Director! Chief Executive Officer of Olive Crest, Donald Verleur II, announced the appointment of Kerri Dunkelberger as Executive Director of the Orange County region. Kerri comes with 26 years of experience in organizational leadership and on-profit program management. With 24 years of leadership experience at Olive Crest and 2 years as the Executive Director of Bethany Christian Services, Kerri not only brings the highest caliber of expertise, but passion for providing at-risk children with strong, loving families. Kerri holds a dual BA degree in Mass Communications and Business Administration, as well as a Masters in Marriage and Family Counseling. This appointment fits within Olive Crest’s strategy in achieving the organization’s Vision 2020 to increase its reach to 100,000 more children and families by the year 2020. Tim Bauer will continue in his key role as the Executive Director of Development, working alongside Kerri in building awareness and raising much needed community resources. 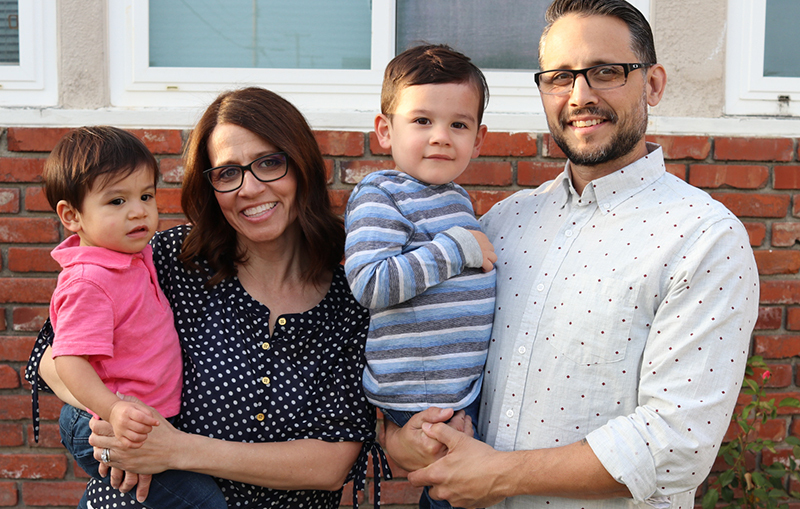 TACOMA, Wash., July 12, 2016 — In an unprecedented move, Youth for Christ (YFC) in Tacoma has decided to shift its foster care and adoption services to Olive Crest Pacific Northwest. After Youth for Christ’s decision to focus its ministry on 11 to 19-year-olds, the leadership sought out a credible, like-minded partner to operate its foster care services. For more than 40 years, Olive Crest has provided foster care and adoption services in California, Nevada and the Pacific Northwest. The nonprofit organization is a leader in the prevention and treatment of child abuse, serving nearly 3,000 children and families each day. Staff will grow to 103 serving the Seattle-Tacoma area, and will work with 305 families, and serve 249 kids in care in Pierce, Thurston, King, Snohomish, Skagit, Whatcom and Lewis counties. The Youth for Christ foster care offices at 1216 Center Street will become part of Olive Crest under a lease agreement. The remaining YFC programs and staff will move to the organization’s Hilltop Offices, Ministry Headquarters at 1116 South 11th Street. Olive Crest in Seattle and now Tacoma provides foster care services through secure, certified and trained loving families in therapeutically safe environments. In addition, the agency provides intensive treatment for children with complex emotional and behavioral needs that exceed what a regular foster care family can meet. Safe Families for Children is an additional program where parents experiencing a temporary crisis can arrange for their children to stay with Safe Families volunteers while they address the issues that led to the instability in their lives. Olive Crest also offers parent education, counseling and case management services to help strengthen families to keep them together. The organization works with the state of Washington to ensure that safe and loving foster families are available to meet the needs of abused and neglected youth. Mental health staff is integrated into Olive Crest programs to provide high-quality and effective care.